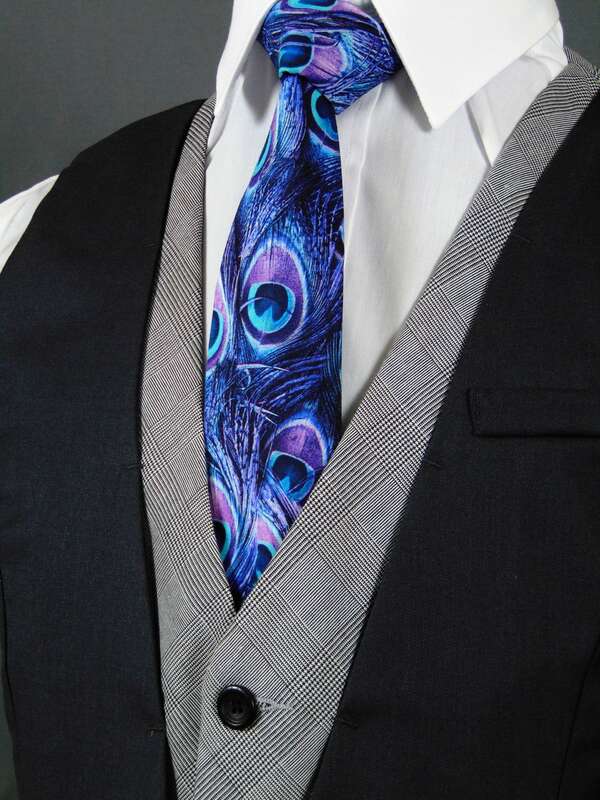 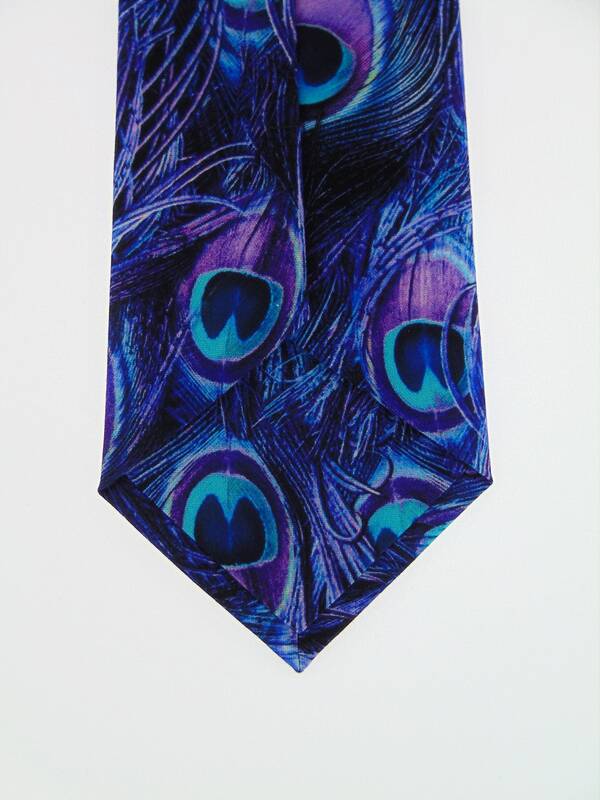 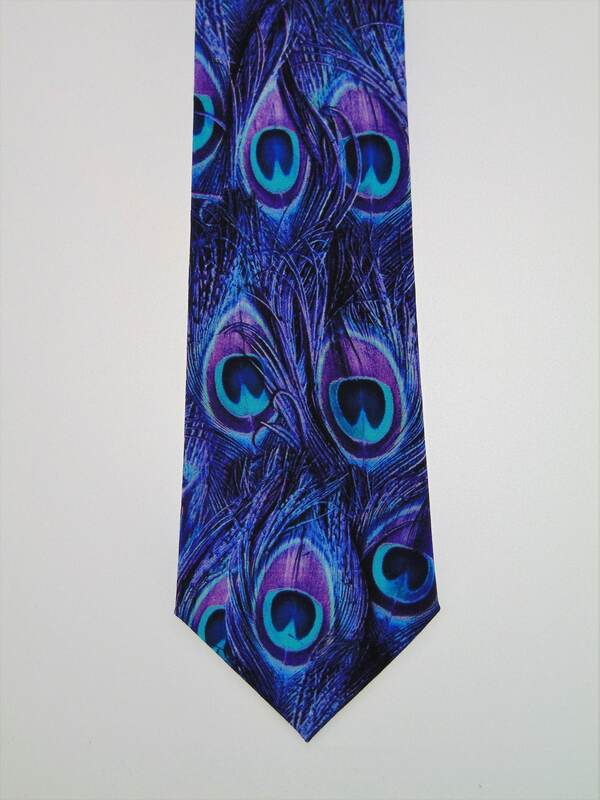 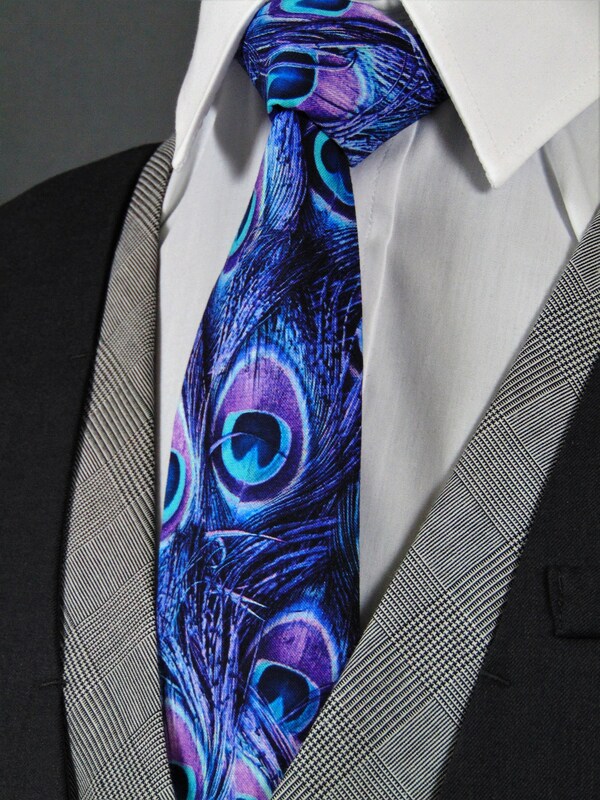 Just in time for Father's Day, this Peacock Neck Tie will make the perfect gift for Dad. 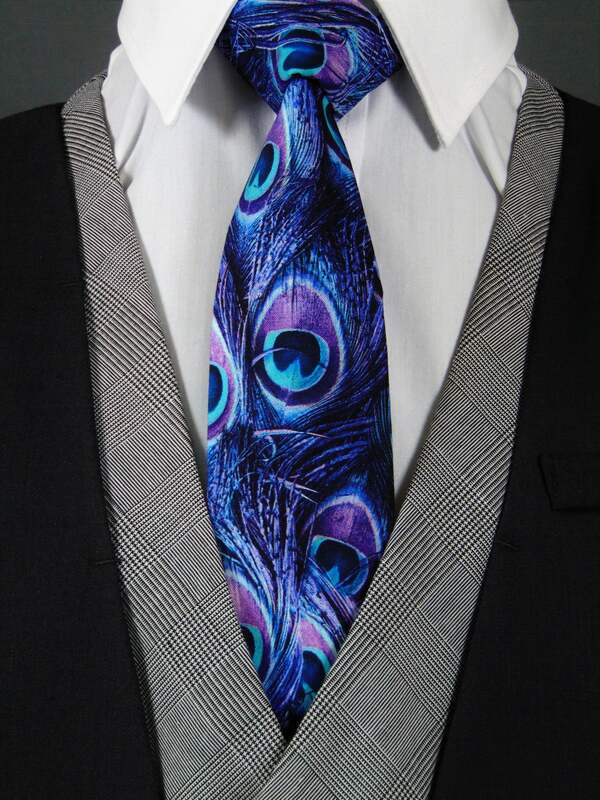 Features a allover Peacock Feather motif. 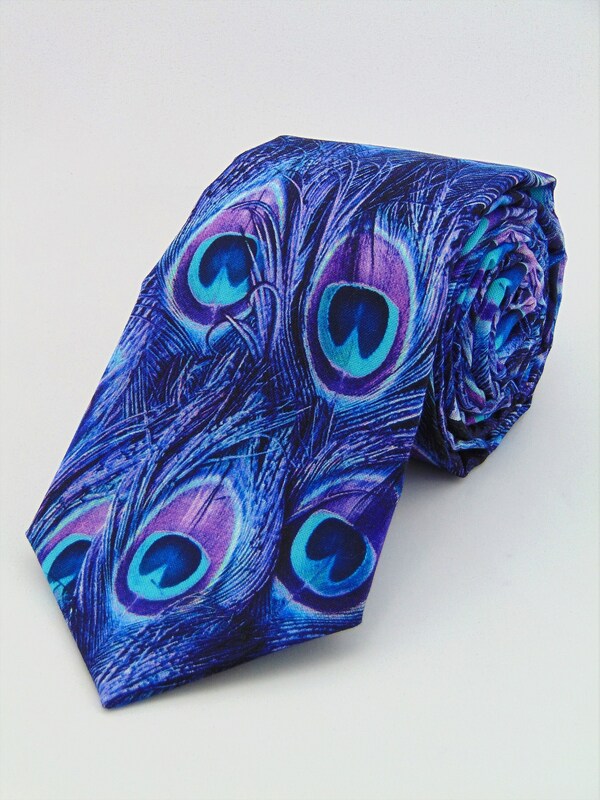 Colors include: Shades of purple and blues.